Many businesses are looking to up their game with cloud, mobile and other digital transformation initiatives. What are their priorities? 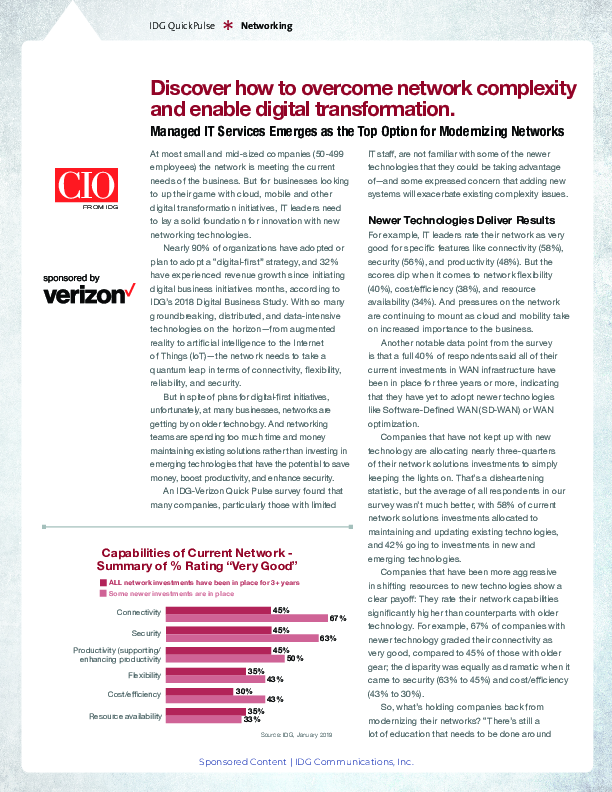 A new survey from Verizon shows IT leaders need to lay a solid foundation for innovation with new networking technologies. Read the white paper here.